The Lake Shore Model CRX-EM-HF probe station is a cryogen-free closed cycle refrigerant probe station with a ±0.6 T horizontal, in-plane electromagnet. All standard CV, IV, microwave, and electro-optical probing, plus in-plane horizontal field electromagnetic measurements can be performed on this versatile probe station. Researchers can use the CRX-EM-HF for testing magneto-transport parameters. It is Lake Shore’s premier cryogen-free probe station for vector-dependent magneto-transport measurements. 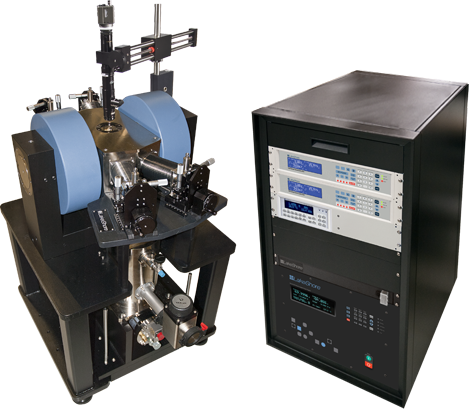 To maximize magnetic field at the sample, the CRX-EM-HF has its probes configured at 30° angles for probing wafers up to 25 mm (1 in) in diameter.